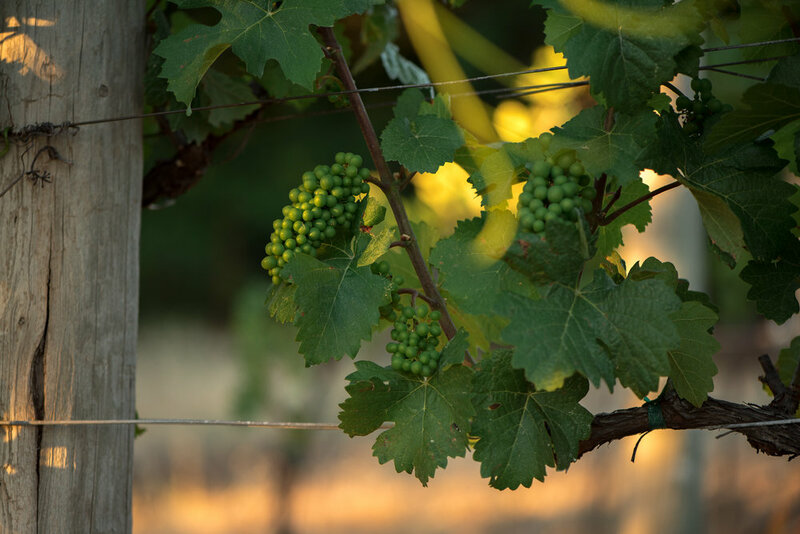 Sophie James Vineyards sits on the very top of Sonoma Mountain with its highest elevation at roughly 2,360 ft in the middle of rolling hills, with breathtaking panoramic views of the entire Bay Area - you can see the difference on our property. With just 5 acres of Pinot Noir planted in ancient volcanic soil and clay loam, the production goes exclusively to wine club members with a portion of the grapes being sold to Flowers Winery for use in their Sonoma Coast Pinot. We are proud of the fact that our wine is a product of all organic farming and that our grapes are only exposed to upstream, mountaintop, natural spring water - making our grapes and our wine - mountain pure. With cooler temperatures in the Spring at this elevation, the vines wait to push their buds until later in the year. 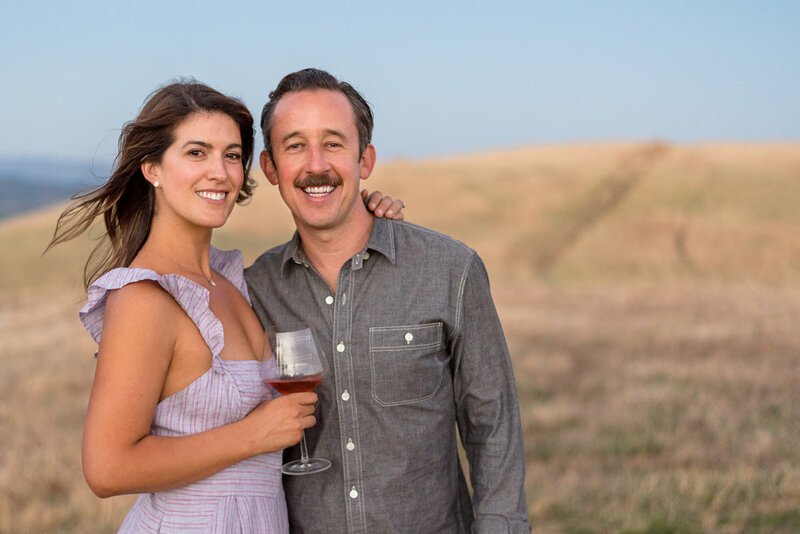 As the temperatures heat up in the summer, and the fog starts rolling in, at 700 ft above the top of the Bay Area fog line, the Sophie James vines begin to catch up with the rest of the vineyards below the fog. The confluence of the extreme mountaintop climate, rocky, volcanic soils, constant air movement, and placement above the fog all contribute to distinctive local flavors in our wine - you can taste the difference. Sophie James Vineyards shares 70% of its property line with historical Jack London State Park in Glen Ellen, with private gate access. On a clear day you can see the Pacific Ocean, Mt. Tamalpais, San Francisco, the Bay, Mt. Diablo, Sonoma Valley, Mt. St. Helena and even the foothills of the Sierra Nevada’s. Sophie James Vineyards sits on land that is deep in history. The elders of the Coast Miwok considered this land sacred and named the mountain Oonapais (the sister mountain to Mt. Tamalpais). The Eastern section of the property forms the mouth at the top of the Valley of the Moon, author Jack London's favorite place on Earth (after Yosemite). 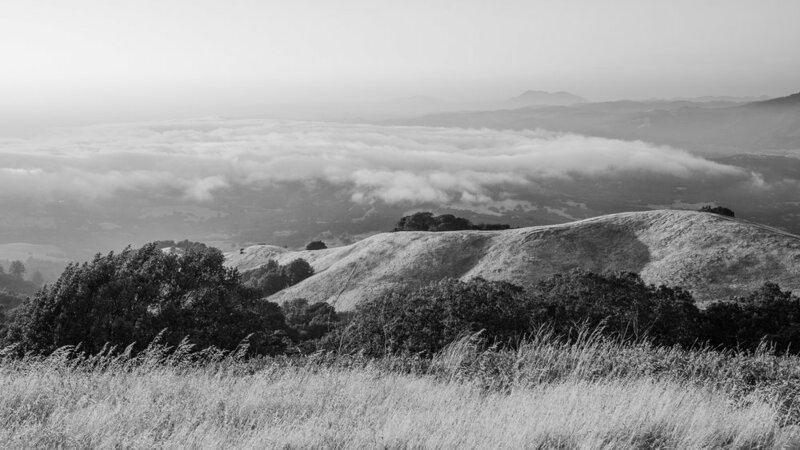 While most Bay Area mountaintops are public land - the summit of Sonoma Mountain has been owned privately for generations and has been closed off to the public - until now. For the first time ever, Sophie James is opening up this land to wine club members, while Sonoma County Parks and Recreation is also soon opening hiking trails on adjacent parcels.